Slippy: Registered Name BB’s Slippy, fawn, female, 67 lbs, DOB March 26, 2011, 31F-55733. 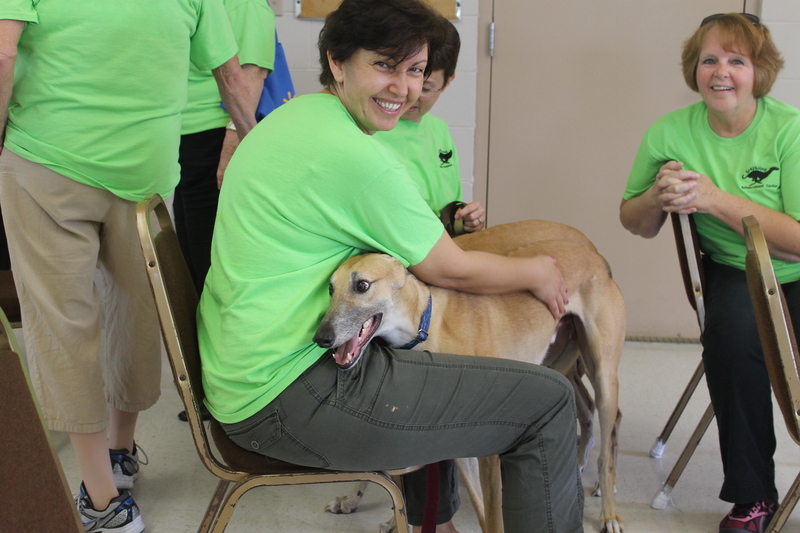 Slippy is a retired racing greyhound who is currently participating in the Greyhound Advancement Center Hardee Hero Hound greyhound and inmate prison training program at Hardee Correctional Institution. There is something about Slippy that will catch your attention. Maybe it’s her eyes that show how much love she has for you. Slippy is full of energy as she happily wait to begin her day with her inmate trainer. Slippy also enjoys her daily jog. Slippy is happy just to be able to do anything with her trainer. If you are looking for love, company and joy, Slippy is the greyhound for you. Slippy’s inmate trainer wants everyone to know that Slippy will change your life and forever leave a paw print on your heart.